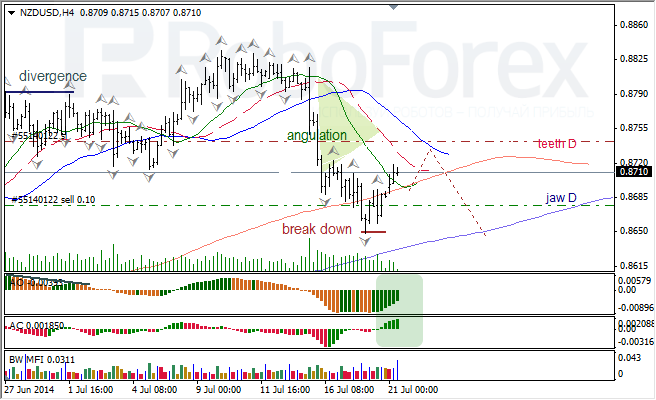 At H4 chart of USD CAD, Alligator is sleeping. 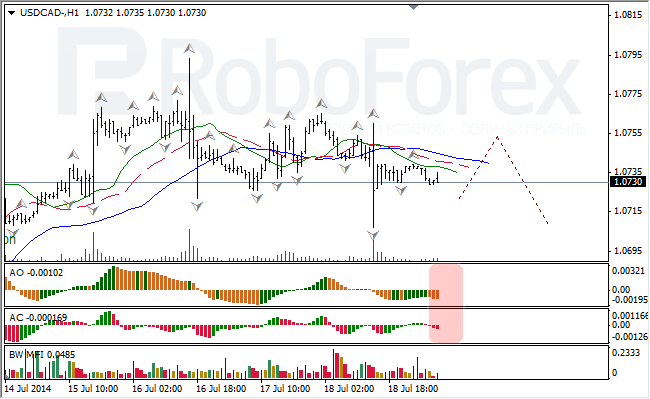 Indicators are in grey zone; there is Fade bar on the MFI and might be Squat one too. After two fractals equidistant from Alligator’s mouth, I expect breakout of fractals to the upside towards D Alligator’s jaw. 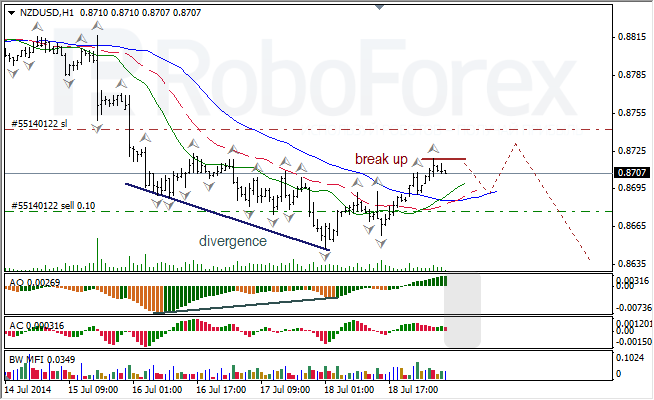 At H1 chart of USD CAD, Alligator started falling down slowly. AO and AC are in red zone; there is Fade bar on the MFI and might be Squat one too. After two fractals equidistant from Alligator’s mouth, I expect breakout of fractals to the downside. At H4 chart of NZD USD, Alligator is slowing down a little bit near D Alligator’s teeth. 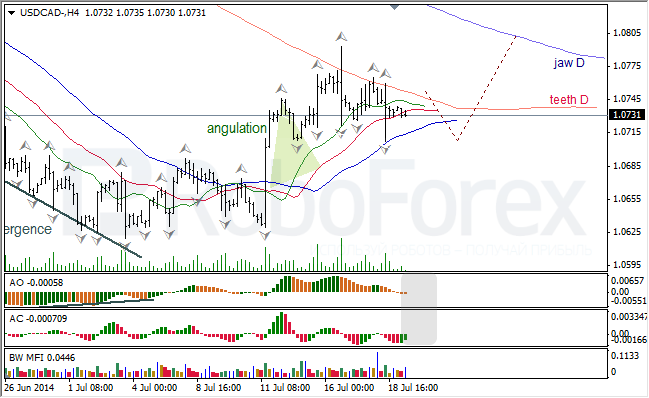 Pair is forming bullish fractal; AO and AC are in green zone; there is Squat bar on the MFI. Bullish fractal may reach Alligator’s jaw (blue line), and then I expect breakout of fractals to the downside towards D Alligator’s jaw. At H1 chart of NZD USD, Alligator reversed upwards. AO and AC are in grey zone; there is Green bar on the MFI and might be Squat one too. After slight breakout of fractals to the upside, I expect breakout of fractals to the downside.